Peggy Morris is a multi-instrumentalist and composer who simply cannot contain her joy on stage and needs to dance a bit too! She moves effortlessly from soulful vocalizations to explosive saxophone and passionate flute solos with a charismatic, unmatched enthusiasm. 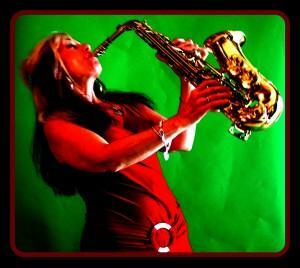 Peggy has over thirty years of professional experience, toured Europe, performed at the 2012 Clearwater Jazz Holiday with Pat Close and “The Groove”, played with Brian Culbertson, Allon Sams, Mindi Abair, Paul Brown and has released 5 CD’s of original music.